Oregon is home to an exciting and expanding game design scene. With over a dozen gaming studios located in Oregon and more slated to pop up, Oregon is slowly becoming a new tech hub. Over the past 8 years, the gaming industry has seen a 450% growth in Oregon alone. What’s even more impressive is that Oregon has outpaced gaming growth across The US over the same span. Making it an attractive destination for those looking for game design careers. As the number of video game design professionals in Oregon has grown, salaries for video game design professionals have also increased. 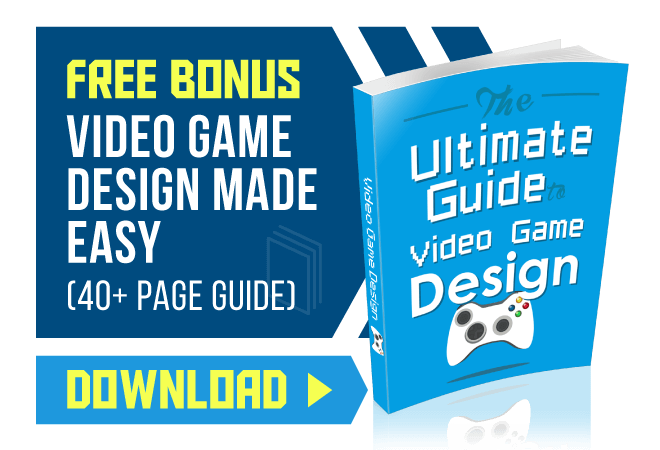 The average salary for Oregon video game design professionals in 2014 was $69,415 per year. This represents a 60% growth since 2006. By the year 2020, the Oregon Employment Department expects the industry to grow 28.9%, which is nearly twice as fast as the national average for all occupations. 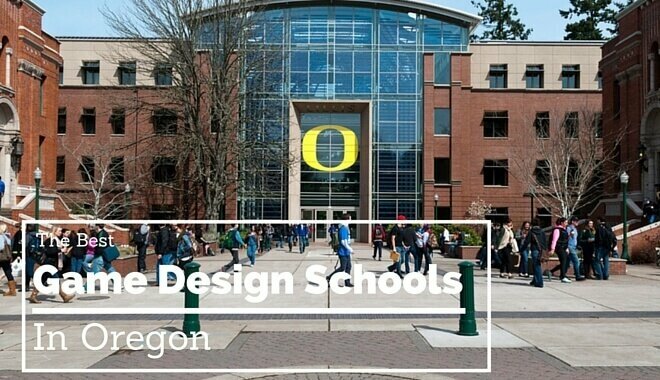 With the growth of Oregon gaming, the need for qualified designers has grown as well. Oregon schools have responded by adding new gaming centered majors and course loads. The digital arts division, which has seven faculty members. Students who earn a B.A. or B.S. in Computer Science learn about computer and computational sciences, human-computer interaction, programming languages and artificial intelligence. The B.A. or B.S. in Digital Arts includes general education requirements and studio coursework. However, with an additional year of upper-division studio coursework, independent studies and internships, students can earn a B.F.A. that concludes with a final creative project. Classes examine interactive media, programming and computer animation. Graduate students can pursue a Master of Fine Arts (M.F.A.) in Digital Arts through an interdisciplinary program of seminars and independent studies that culminate in a graduate thesis and review. While attending the University of Oregon, students can participate in the student-run Game Development Club and have access to dual-boot PCs and a variety of computer science research labs. Students interested in earning a four-year degree can earn an Associate of Arts Oregon Transfer (A.A.O.T.) in Computer Science, which is designed to be equivalent to the first two years of a bachelor’s degree program. Students seeking a targeted degree can earn an Associate of Applied Science (A.A.S.) in Computer Systems and Information, which would include programming instruction and electives in game development, C++ and Java. Through the two- or three-year A.A.S. in Graphic Design program, students specializing in interactive media can prepare a portfolio while learning about interactive media, programming and design layout. Clackamas Community College is located in rural Oregon City near Portland, Students have access to 28 computers at the college’s library and have opportunities for valuable practical experience, including co-ops, internships and for-credit volunteer work. This two-year program prepares students for careers as storyboard artists, with coursework in communications, art, design and mass media. Students learn about drawing and color theory and are taught how to create Flash animations, computer graphics and online multimedia materials. The program concludes with the development of the student’s portfolio. Students at Eastern Oregon University in La Grande, which is in northeastern Oregon, have access to Linux, Mac and Windows computer labs and a fully equipped multimedia lab, with up-to-date versions of software like the Adobe Graphics Suite and Carrara 3-D. Bachelor of Science (B.S.) through the computer science/multimedia program, which has three faculty members. Students take core courses in computer science and multimedia design, but choose to concentrate in one of three areas. Aspiring game designers might be interested in a concentration in computer science or multimedia. The computer science concentration includes training in object-oriented programming languages, like C++, while the multimedia concentration includes courses in multimedia programming, design and graphics. Also located in Portland, Portland State University grants undergraduate and graduate computer science degrees through its Maseeh College Computer Science Department, which has 26 faculty members. Computer science faculty members are actively researching a variety of topics, including programming, software engineering and computer graphics, and students are encouraged to participate in the department’s internship program. Undergraduate students can earn a B.S. in the field, which will prepare them for graduate study or a career working with computers. After taking core computer science courses, students can choose electives from a range of topics, including artificial intelligence, game design, computer graphics and object-oriented programming, and then conclude their program with a group capstone project. Through the Art Department, undergraduates interested in game design can earn a minor in time arts, which includes instruction in visual arts, design and two- and three-dimensional animation. Students who wish to pursue advanced work in computer science can pursue a Master of Science (M.S.) or a Doctor of Philosophy (Ph.D.). Students in Portland can study computer science at the University of Portland through its Shiley School of Engineering, which has 24 faculty members. Computer science students have access to a large computer lab, two computer classrooms and laboratories for computer science and computer vision research. Through the B.S. in Computer Science program, students learn about computer theory and organization, programming, data structures and software design. The program also includes elective courses in game design and theory. In their final year, students complete a capstone course that involves experimentation, analysis and design. Linn-Benton Community College is located in rural Albany, between Salem and Eugene, and offers a computer science degree through its Science, Engineering and Technology Division, which has 11 faculty members. Students can earn a two-year Associate of Science (A.S.) in Computer Science, which is designed to transfer to a four-year degree. During the program, students learn about algorithms and data structures and receive training in many skills used for designing games, including object-oriented design and programming. Students might need to take prerequisite courses to prepare for the advanced courses in mathematics that the program requires. Students interested in a four-year degree program can take advantage of a transfer partnership between Linn-Benton Community College and the computer science program at Oregon State University. Students at Mt. Hood Community College in Gresham, east of Portland, can earn an A.A.S. in Computer Game Development through the computer information systems division. The program has five full-time faculty members and brings in working professionals from the area as adjunct professors. In the game development program, students work with industry-standard software, including Photoshop, Maya, Flash, Unity and Unreal. Students in this program develop entrepreneurial skills, along with the necessary technical skills for designing and creating games. Courses cover writing and math, visual arts and design, web content creation, game design theory and three-dimensional animation. Upon completion of the program, students have created online and physical portfolios. Located in the midsized city of Eugene, LCC is the third largest community college in the state, serving more than 35,000 degree and non-degree students yearly. Students have full access to state-of-the-art multimedia labs, video technology equipment, printing services and a recording studio. The Multimedia Design A.A.S. program prepares students for entry-level work in game design and digital media, while students interested in programming for games can earn an A.A.S. in Computer Programming. LCC offers a program in game and simulation development through its Computer Information Technology Department, which has 35 faculty members. The two-year program incorporates computer animation, game development and C++ programming for game design, providing students with the technological training necessary to create and implement functioning game designs. The 16-credit Computer Game Programming Certificate program provides specialization in programming games with the C++ programming language. Portland Community College is located in the city of Portland and offers technical and academic degree and certificate programs to more than 34,000 students each year. Its multimedia programs prepare students for game designing careers and are taught by eight faculty members at the Cascade campus. The A.A.S. in Multimedia program provides students with the training necessary to design and implement interactive media, with courses in project management and multimedia design and production. Multimedia students have access to the college’s two multimedia labs, containing 50 Apple computers, and have the opportunity to complete an internship in the field. While there is no computer science degree or certificate offered, students interested in game design could learn to create computer animations and design software through the college’s computer science courses while pursuing a multimedia degree. 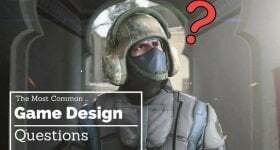 While programs specifically in game design are limited, students can gain the skills to become game designers through several different academic routes. Appropriate programs are offered at numerous schools in Oregon, the largest of which offer game design, multimedia, and computer science degrees. Programs lead to associates, bachelors, masters, and even doctoral degree related to the field. For those who choose to develop their education towards game design, coursework in programming will be very helpful. Some degree programs include practicum opportunities such as internships, work experiences, the development of a portfolio, or final project. Some schools offer clubs to meet with other game designers, and numerous offer large extensive computer labs.